This broadcast is about local workers, ministries and issues. Along the road we will celebrate the Kingdom of Heaven in our midst. Tune in each Wednesday and Friday evening at 6 p.m, or Sunday morning at 8:00am. Local programming you won't want to miss! The first segment consists of an interview with local personalities followed by a segment where Rich and Steve will answer your questions and comment on issues. The Venerable Richard Jones was ordained an Anglican Priest at the age of 25 in Toronto. He served for 12 years in Anglican churches in Ontario including, Oshawa, Hastings and Lakefield. Rich came to Oxford County in 1993 and served in Tillsonburg for 13 years and in Woodstock at Church of the Epiphany for 5 years. Rich retired from full time parish ministry in 2011 and lives in Woodstock with his wife Heather. 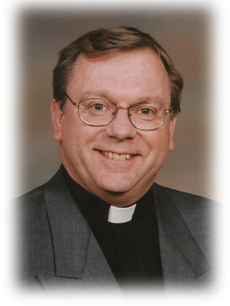 Since retirement, Rich has served as interim in two Anglican churches and as the Territorial Archdeacon, caring for about 40 congregations and their clergy in Brant, Norfolk and Oxford. 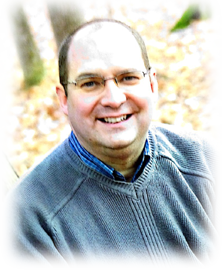 Rich is an evangelical Anglican with a gentle charismatic touch. He loves to stir the minds and hearts of people so that they come to a deeper knowledge and experience of the transforming love of Jesus. The Reverend Doctor Stepen Hendry completed a BA in Philosophy and a Masters Degree in Divinity at Huron College, Western University. Recently he completed his Doctor of Ministry through Ashland University in Ohio. Stephen is married to Joyce and they have four grown children. Stephen's hobbies are canoeing and golf. He is a compulsive reader. He presently serves the congregation of The Church of the Epiphany, Woodstock.